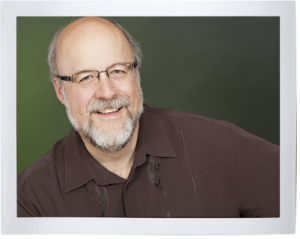 Composer John Muehleisen is increasingly in demand for commissions and performances nationally and internationally, particularly from vocalists and choral ensembles. Of his more than 150 vocal and choral works critics and reviewers have variously described them as “brilliantly crafted”…”stunning and evocative”…”a perfect match of text and music”…”his postmodern sense of tonality…always maintains a strong sense of direction and unity of expression”…”all of this characterizes the masterful writing of composer John Muehleisen.” He has been Composer-in-Residence for Seattle’s Opus 7 Vocal Ensemble almost continuously since 1996, was the final composer-in-residence for the Dale Warland Singers (2003–2004) and served two seasons in residence with Seattle’s Choral Arts Northwest (2011–2012 and 2016–2017). “The scale of tragedy in WWI was immense. It is hard to comprehend the impact it had on nations the world over. A new world born, the consequences we still live with. Using the personal story of [John] Kipling, Muehleisen weaves a powerful narrative of the tragic loss to one family – the beloved son of Caroline and Rudyard Kipling. Coupled with a compelling score and orchestration, I was deeply moved over and over again to hear the witness of love of country, grief and hope. Universal, yet personal, it resonates at the deepest levels. PERFORMANCES. John’s works have been performed and recorded by esteemed conductors such as John Alexander, Anton Armstrong, Craig Hella Johnson, Lawrence Leighton Smith, and Dale Warland and by numerous ensembles throughout the US, Canada, Europe, New Zealand, and Asia, including Choral Arts Ensemble (Rochester, MN), Choral Arts Northwest (Seattle), Choral Chameleon, Conspirare, the Dale Warland Singers, Ember Vocal Ensemble, The Esoterics, the John Alexander Singers, Kokopelli’s Òran choir, the Louisville Orchestra, Magnum Chorum, Musa Horti (Belgium), Northwest Girlchoir, Opus 7 Vocal Ensemble, The Richard Zielinski Singers, Seattle Girls Choir, Seattle Pro Musica, South Bend Chamber Singers, Vocal Arts Ensemble (Cincinnati), and numerous college and university choirs, including the Harvard Glee Club, the Saint Olaf Choir and Yale Schola Cantorum. His compositions have also been featured on new music festivals throughout the U.S., including June in Buffalo, the Ernest Bloch Music Festival in Oregon, Santa Fe Chamber Music Festival in Seattle, Indiana State University’s 22nd Festival of Contemporary Music, and the National Endowment for the Arts’ American Masterworks Choral Festival in Austin, TX in 2007. His epitaph for choir and trumpet, Snow. The King’s Trumpeter, was featured by the Dale Warland Singers on the closing concert of the Sixth World Choral Symposium in Minneapolis in August 2002 and at the Minnesota Beethoven Festival in July 2010 with guest conductor Dale Warland. His Peace, Night, Sleep received its Asian premiere in South Korea by the renowned Incheon City Chorale, guest-conducted by Geoffrey Boers, in March 2013. John’s two sets of humorous pieces titled Eat Your Vegetables!—his most popular works to date—have been performed by numerous high-school, college, community, and professional choirs in North America, Europe, and Asia. Joy, his setting of two Sara Teasdale poems for women’s choir, was performed in Avery Fisher Hall by The Distinguished Concerts Singers International in March 2014, conducted by Hillary Apfelstadt. John’s works have also been featured at numerous national and regional American Choral Directors Association conferences and at the 2013 Chorus America Conference in Seattle, WA. Oratorios. John’s oratorios on the topics of compassion, mercy, and love (Pietà) and about World War One (But Who Shall Return Us Our Children – A Kipling Passion) are proving to be two of his most enduring works. Between them, they have received 21 performances since 2012, with four additional performances of Pietà scheduled for mid-March 2019 by conductor Tom Trenney and Sounding Light, including the Ohio and Michigan premieres of the work in the Cleveland and Detroit areas—25 performances in just seven years, an unusually high number for large-scale works, which often fall into obscurity following their premieres. The Kipling Passion, alone, received 10 performances in just over a year after it was premiered in March 2017. These oratorios’ timeless messages of the healing power of compassion, mercy, hope, and love amidst suffering and loss have resonated deeply with audiences. These works have been performed and championed by numerous esteemed conductors Anton Armstrong, Robert Bode, Craig Hella Johnson, Deborah Simpkin King, Erick Lichte, Nancy Menk, Ben Spalding, and Tom Trenney and have been performed by renowned ensembles such as Choral Arts Northwest, Conspirare, Ember Vocal Ensemble of Schola Cantorum on Hudson, Magnum Chorum, Nebraska Wesleyan Choir, Portland Symphonic Choir, the Saint Olaf Choir, South Bend Chamber Singers, and Spire Chamber Ensemble. Pietà was chosen by Craig Hella Johnson to open Conspirare’s innovative ComPassion festival in June of 2014, and Choral Arts Northwest performed John’s Kipling Passion as one of the featured headliner events at the 2018 Northwest Regional Conference of the American Choral Directors Association in Portland, OR. And at the invitation of the Worship Committee of the 2018 National AGO Convention in Kansas City, MO, John arranged four choral movements from the Kipling Passion for choir, brass octet, organ, and percussion, which were featured by Spire Chamber Ensemble on the “Reconciliation and Remembrance” Opening Celebration to commemorate the centenary of WWI. RESIDENCIES. John has served as composer-in-residence for several prestigious choral organizations. By far, his most enduring long-term residency has been with Seattle’s Opus 7 Vocal Ensemble (conducted by Loren Pontén), for which John has composed 25 choral works over the course of more than 2 decades of nearly continuous residence beginning in 1996. John also had the privilege of serving as the final composer-in-residence for the Dale Warland Singers (2003–2004) and for two terms with Seattle-based Choral Arts Northwest, conducted by Robert Bode (2011–2012 and 2016–2017). John was a guest composer at the 22nd Festival of Contemporary Music in 1988 (along with principal guest composer Joan Tower) and at the National Endowment for the Arts’ American Masterworks Choral Festival in Austin, TX in 2007 (along with Stephen Paulus). He has been in short-term residence with numerous choral ensembles, including Choral Arts Ensemble (Rochester, MN), Conspirare, Harvard Glee Club, the John Alexander Singers, Mid-Columbia Mastersingers, the Quincy Symphony Chorus, South Bend Chamber Singers, Volti, and at University of Missouri–Kansas City, Wake Forest University, and numerous other public schools, colleges, and universities that have commissioned and performed his works. More than 80 of John’s vocal and choral works have been recorded commercially by choral groups including Bellevue Chamber Chorus, Choral Arts Ensemble, Choral Arts Northwest, the Dale Warland Singers, The Esoterics (2 CDs), the John Alexander Singers, Mirinesse Women’s Choir, Northwest Girlchoir, Opus 7 Vocal Ensemble (3 CDs), the Oregon Repertory Singers, the Richard Zielinski Singers, Seattle Pro Musica (2 CDs), and Volti. In June 2013 Opus 7 Vocal Ensemble released As water ascends to a cloud, a compilation of choral works by Pacific Northwest composers that includes two of John’s most popular choral works: Snow. The King’s Trumpeter and Eat Your Vegetables – Set One for choir and clarinet. In September 2014, the John Alexander Singers released four of his choral works on their American Voices CD on the Delos label and in 2015, San Francisco’s cutting edge choral ensemble, Volti, released This is What Happened: More New Directions in American Choral Music, which includes the premiere recording of John’s …is knowing…, a four-movement set based on poems by Getrude Stein, commissioned by Volti and premiered in 2012. Most recently, in October 2018, Oregon Repertory Singers released Shadows on the Stars: Music of Morten Luridness and Pacific NW Composers, which includes John’s River Moons, and in Dec. 2018 Choral Arts Northwest will release the much-anticipated 2-CD set of John’s WWI oratorio, But Who Shall Return Us Our Children – A Kipling Passion, both on the esteemed Gothic label. Finally, over the course of several recent seasons, Opus 7 Vocal Ensemble recorded more than a dozen of John’s choral works, most of which have never been commercially recorded, to be released on the first CD consisting exclusively of John’s choral works. Past major commissions include This Night and Prairie Waters by Night for the Dale Warland Singers, composed while John was in residence with DWS during their final 2003–2004 season. In 2006 John was commissioned by Conspirare to write a work for 600 voices for the closing concert of their NEA-sponsored American Masterpieces Choral Festival in Austin, Texas. The work, based on Walt Whitman’s Salut au Monde!, was premiered by Craig Hella Johnson and the Massed Festival Choirs in January 2007. Salut au Monde! was also nominated for a 2006–2007 Austin Critics Table Award in the Classical Music Original Composition category. In 2008, the University of Wyoming commissioned a work in memory of the 10th Anniversary of the murder of Matthew Shepard. The resulting work—When All is Done—was premiered at the Shepard Symposium on Social Justice in April 2009, with Matthew Shepard’s mother, Judy, in attendance. In March 2012, San Francisco’s cutting edge choral group, Volti, conducted by Robert Geary, premiered …is knowing…, John’s setting of four Gertrude Stein texts, and in the same month, Seattle’s Choral Arts Northwest premiered John’s 90-minute oratorio about compassion and mercy titled Pietá, commissioned by them in 2011. In March 2013, just three months after the Sandy Hook Elementary School shootings in December 2012, the combined choirs of Great Falls and Charles M. Russell High Schools in Great Falls, MT premiered Consolation: Requiem for Newtown for choir and chimes, which they jointly commissioned and which is “Dedicated to the memory of the 20 children and 7 adults slain in the Sandy Hook Elementary School Massacre in Newtown, CT on Dec. 14, 2012 and to those who mourn their loss.” The response to the premiere of the work was stunned, reverent silence, a fitting tribute to those who lost their lives. A repeat performance of the work was given by the Great Falls HS Delphian Choir at the 2018 ACDA Northwest Region Conference and was greeted this time with an immediate standing ovation and tears from their choral colleagues. John’s most ambitious work to date, But Who Shall Return Us Our Children – A Kipling Passion, was commissioned to commemorate the centenary of World War One by a consortium of choral ensembles: Choral Arts Northwest (Lead Commissioner); Spire Chamber Ensemble; the Conservatory of Music and Dance at the University of Missouri, Kansas City; Ember Vocal Ensemble; and the South Bend Chamber Singers. This epic 2-hour oratorio focuses on the historical account of the tragic death of Lieutenant John Kipling during the Battle of Loos in 1915; on the impact that his death had on his parents, Rudyard and Carrie Kipling; and on how the Kiplings and, by extension, the entire population of the Commonwealth came to grips with the immensity of the loss of human life during the war. Ultimately, the oratorio delivers a message of hope and encouragement to those who have lost friends and loved ones in war, and in other circumstances as well, by experiencing the story of a family who loved their son deeply, who struggled to heal from their great loss, and who ultimately found healing through the power of community, compassion, and remembrance. A commercial recording of the work will be released in December 2018 on the prestigious Gothic label. Upcoming commissions include a multifaceted new work titled Borders—commissioned by the Great Bend Chorale in WA state—which explores the timely topics of immigration, migrants, refugees, and the borders between nations and communities, as well as between individuals. The work takes up the question: How are we to treat the stranger, the foreigner, the outsider, and the “Other” amongst us? The world premiere of this 15-20 minute work for SATB choir, children’s choir, and instrumental ensemble will be in Carnegie Hall on May 24, 2019 as part of the DCINY (Distinguished Concerts in New York) series. It will receive its West Coast premiere the following weekend (June 1 + 2, 2019) in Seattle and in Shelton, WA. Other commissions include works for Lakeside School in Seattle and for Irvine United Congregational Church in Irvine, CA. EDUCATION. John holds a Bachelor of Music degree in Saxophone Performance from California State University, Sacramento and a Master of Music degree in Composition from the University of Washington, where he studied with William Bergsma, William O. Smith, and Diane Thome. During doctoral studies at Indiana University he studied composition with John Eaton, Eugene O’Brien, and Harvey Sollberger and orchestration with Donald Erb, with minors in Music Theory and Instructional Systems Technology. He has participated in master classes, seminars, and summer residency programs with Lukas Foss, Milton Babbitt, Yehudi Wyner, Earle Brown, David Felder, and Bernard Rands. TEACHING EXPERIENCE. John has had a passion for teaching since he was in high school in Sacramento, CA. He began his extensive teaching experience of over 40 years by teaching private lessons in saxophone, clarinet, and piano; eventually growing his studio to nearly 30 students per week. His classroom experience includes teaching high school concert and jazz band for several years, as well as teaching undergraduate music theory and composition as a Graduate Teaching Assistant at University of Washington, as an Associate Instructor at Indiana University, and as an Adjunct Faculty member at Indiana State University. Currently, in addition to his activities as a full-time composer, John teaches private composition lessons in the Seattle, WA area and has grown his teaching studio to more than a dozen students, to whom he offers a multifaceted curriculum based on each student’s particular needs, including instruction in a broad range of compositional techniques and styles; choral and vocal writing; instrumentation and orchestration; form and analysis; music theory, harmony, and aural skills; and his own unique approach to setting text to music, the hallmarks of which involve extensive textual and poetic analysis prior to composing the music, allowing the music to emerge organically from the text, and delaying the use of the piano as long as possible in the compositional process in favor of rooting the music in the voice itself and in the musical imagination. Several of his students have become award-winning, commissioned composers in their own right. Most of John’s choral works are currently self-published by Muehleisen Music, although two of his works can be obtained from Colla Voce (Snow. The King’s Trumpeter) and Alliance Music Publishing (Joy). In addition, he and composers Brian Galante, Karen P. Thomas, and Reginald Unterseher are at the forefront of the self-publishing movement and have formed Northwest Choral Publishers (www.nwchoral.com), a collective digital publishing venture that seeks to mutually promote their self-published choral works.